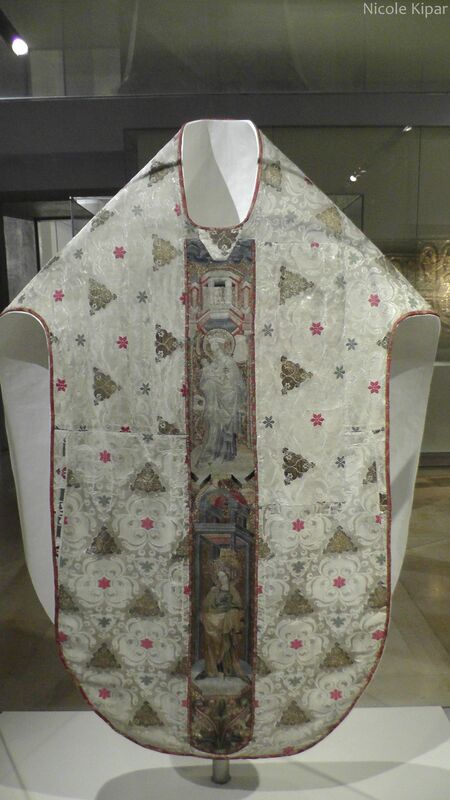 Nic's PhD research: "Grim(m) Perspectives: contextualising text through historical textile"
Photos taken in December 2015 in the Germanisches Nationalmuseum, Nuremberg. 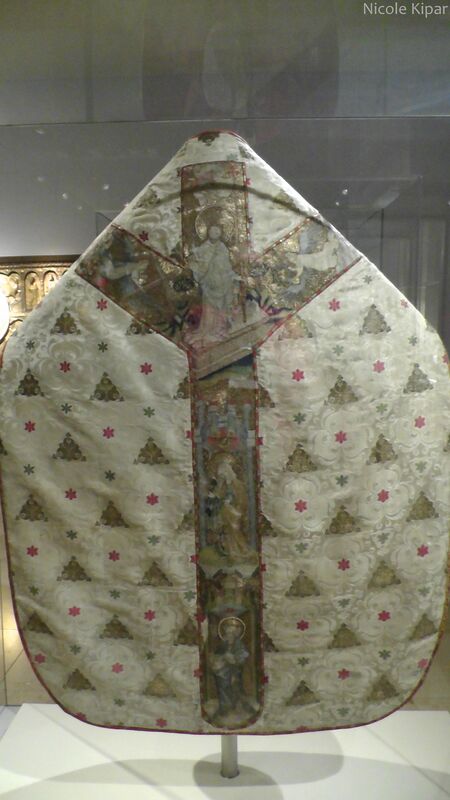 Chasuble, formerly in St Mary’s church (Gdanks) now in the Germanisches Nationalmuseum in Nuremberg. 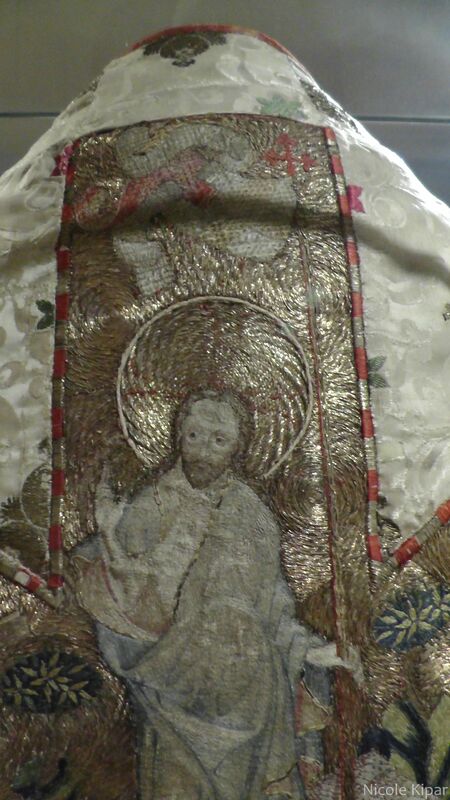 Italian silk damask, lining Portuguese silk lampas, silk and gold metal embroidery Prague c.1400. This work by Nicole Kipar is licensed under a Creative Commons Attribution-NonCommercial-ShareAlike 4.0 International License. 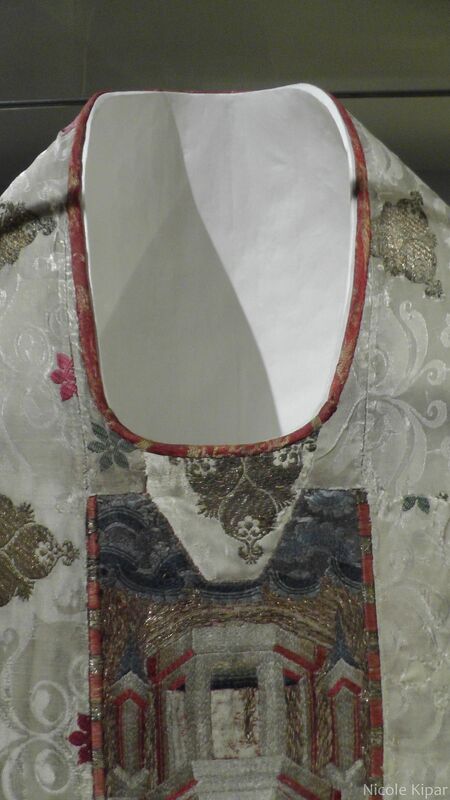 Copyright © 2019 Historical Dress & Textiles research blog. Powered by WordPress. Theme: Accelerate by ThemeGrill.